Right now you can get free shipping on all Garnet Hill clearance items! There are some great deals in the swimwear department, where you get an additional escalating discount for every item you purchase (discount shown in cart). 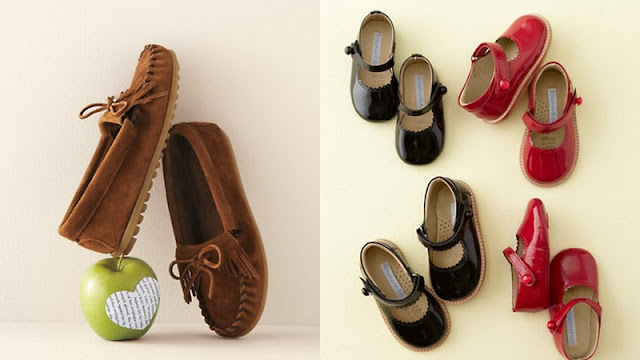 These Minnetonka moccasins are just $18 right now and the beautiful Elephantito Mary Janes and crib shoes are just $29 and $19, respectively (over 50% off). They are available in sizes infant through 9 toddler. It's a great sale, don't delay!